Learning that you are gluten intolerant is a bit of a shock. It takes some getting used to and you usually have tons of questions. Top of the list is which grains are gluten-free? Fortunately, the answer is that the vast majority of grains are gluten free. Therefore, gluten-intolerant people actually can eat whole grains and there are plenty to choose from. The grains listed below are all gluten-free whole grains. Importantly, they can all be consumed in their entirity. That means you can safely eat the bran, germ, and endosperm. **Oats are gluten-free. 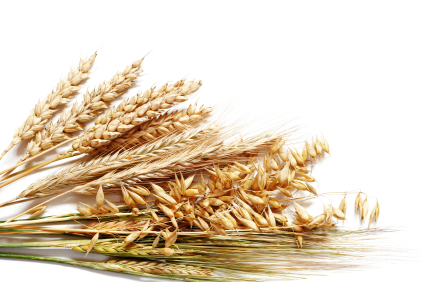 However, during growing or processing they are often contaminated with wheat. Therefore, people with gluten sensitivity need to be very careful about which brand they eat. Fortunately, there are companies out there that grow, harvest and process their oats carefully to avoid any cross-contamination. Given the fact that things change, before eating them we urge you to visit their websites and double-check what they say about the suitability of their products for those that suffer from gluten intolerance. It is also wise to double check with your doctor before adding pure, uncontaminated oats to your diet. These firms mostly sell their products in North America, so they may not be available in your area. If you live elsewhere in the world and know of other firms that produce genuinely gluten-free oats, please let us know about them. You can do so, by leaving a comment below. Once we have checked them out we will add their details to this page.